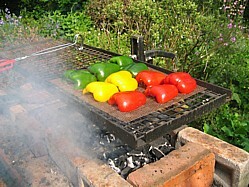 A passionate BBQ aficiaonado will argue that vegan or plant based barbecue recipes have no place on any self respecting barbecue website... well this BBQ aficionado begs to differ! It's amazing to listen to meat eaters and vegans argue their case, in fact I can honestly say that the meat / no meat debate is the only subject I've ever experienced that is more polarising then Brexit! In the spirit of outdoor cooking the World over I humbly request that we respect each others views and if we meet someone with opposing views, get curious, ask questions and take time to understand. Don't just ram you opinion down their throat because guess what?.. nobody's listening! So if you're a meat eater who believes that vegan barbecue recipes have no place on this site or your a vegan who's wondering whether to stay on this site because there are meat recipes then I say "welcome, and yes, get curious". I eat animal products, less than I used to (for health reasons) and for the majority of the days in the week I now eat a plant based diet. I feel great, my doctor says that my health better and I'm happy so frankly I don't see it as a big thing. 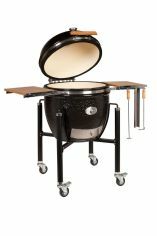 More than that I also have a new challenge... to write some really good quality plant based barbecue recipes! Miso Marinated Mushrooms - a really fab appetizer that so far no one has said anything other than "gimme the recipe!" Vegan Mini Sausage Rolls - Another tasty appetiser for any meal. Sun Blush Tomato & Pesto Puff Pastry Bites - Crisp golden finger food made in 30 minutes. 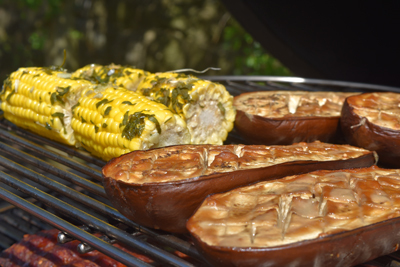 Smoked Aubergine Halves - these work well for creating a dip or as part of a main meal. Vegan Grilled Veggies - loads on this page, just ignore the mushroom recipe or substitute for vegan cheese. Fire Roasted Aubergine and Red Peppers - a great accompaniment or simply as a plant based salad. Cauliflower Couscous with roasted veggies - just add chilli sauce. Why "Plant Based Barbecue Recipes" and Not "Vegan"
I haven't so named this page to be trendy, it's because a plant based diet is exactly what it says it is.. a diet where someone exclusively eats plants. As I've said above, I do it for health reasons. Whilst I care about animals I still wear a leather belt and my shoes contain leather. A vegan wouldn't tolerate this. So in short, this site is about outdoor cooking, it's not about the relative merits of veganism so when it comes to outdoor cooking recipes that contain no animal products the I describe those as plant based barbecue recipes. That's it for now but there will be more coming as I continue to cook vegetables outdoors. I'm also getting a little help because both my student daughters eat vegetarian / vegan diets (financial necessity being one reason!) and my elder daughter Hannah has decided to write here own Vegan BBQ Recipes website. So if you are genuinely uncomfortable browsing a site that also includes animal products then please support her instead.